For specifiers, one of the most significant choices they face when specifying a low-voltage assembly, is the form of separation. Selection of an inappropriate form of separation will at the very least cause disappointment. As a consequence the assembly may either be much more expensive than necessary or it may be unsuitable for the application. The Standard includes definitions relating to Assemblies.Those particularly relevant to the forms of separation of Assemblies include the following. 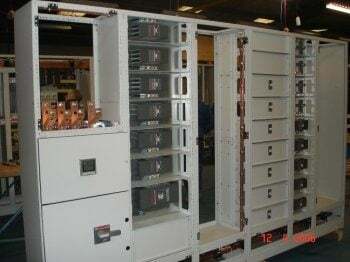 This includes floor standing or wall mounting distribution switchboards, panel boards, and motor control centres using electromechanical and/or electronic components. It does however specifically exclude individual devices and self-contained components which control a single circuit i.e. wall mounted starters and fuse switches. “Part of an ASSEMBLY comprising all the electrical and mechanical elements including switching devices that contribute to the fulfilment of the same function”. NOTE: Conductors which are connected to a functional unit but which are external to its compartment or enclosed protected space (e.g. auxiliary cables connected to a common compartment) are not considered to form part of the functional unit. Comprises all parts necessary to form a complete incoming or outgoing circuit. It includes the load current carrying device(s) and associated equipment, cable terminals, and control devices within the assembly, that are necessary to form the complete circuit. 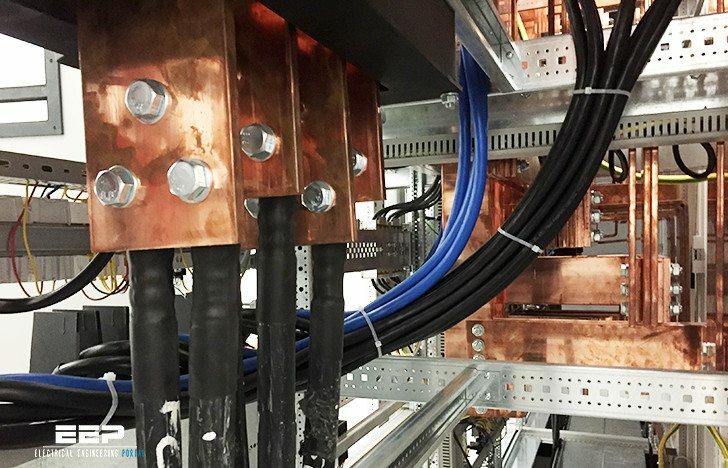 It excludes the connections from the unit to the busbars (busbar connections) and any insulation or shrouding with which they may be provided. It may consist of more than one compartment or enclosed protected space. “Constructional unit of an ASSEMBLY between two successive vertical delineations”. Usually considered to be a single full height column containing one or more functional units. One or more columns are required to complete an assembly. “Constructional unit of an ASSEMBLY between two successive horizontal or vertical delineations within a section”. The area or space within a column identified and bounded by two adjacent and horizontal constructional members e.g. cross members or shelves.